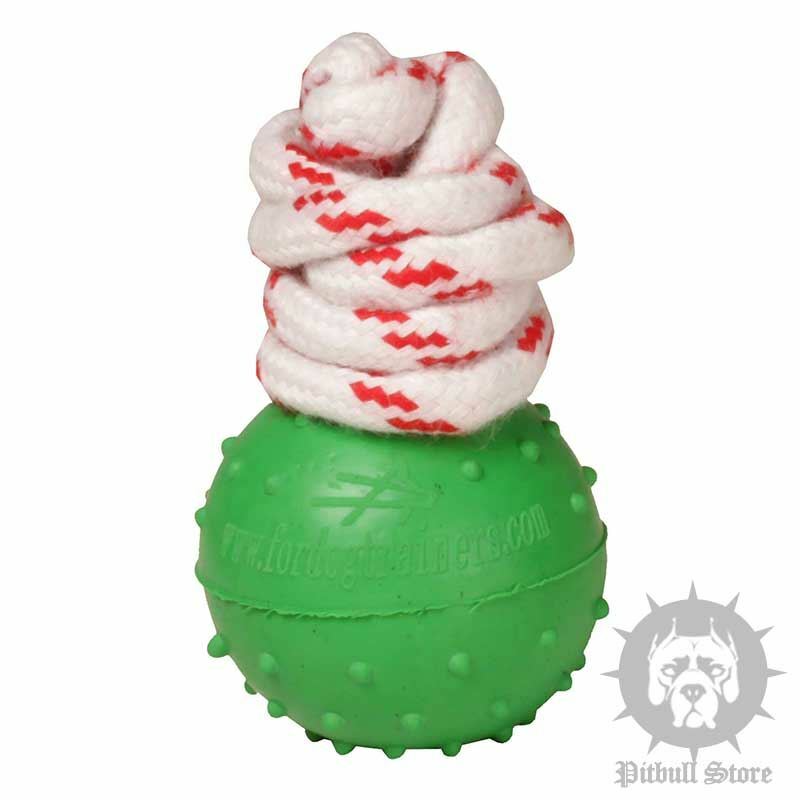 Solid dog ball is an ideal dog toy for Staffy water training and playing! So if your Staffy likes water, than this interactive dog ball, which doesn`t sink, is perfect to train and entertain the dog in water! Bring joy and pleasure to your beloved pet with this dog water ball! 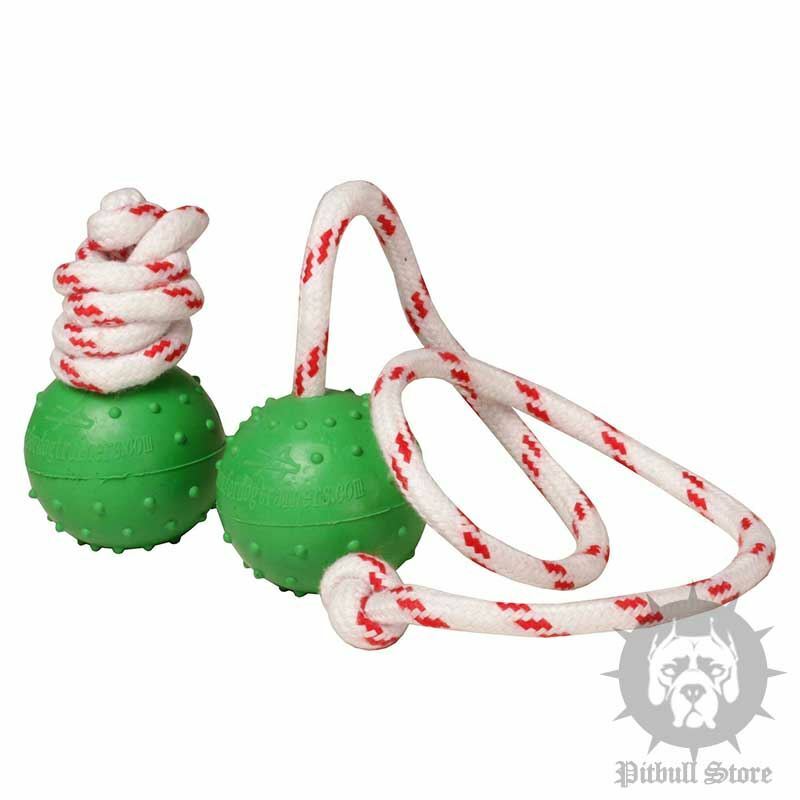 This dog training ball is made of natural rubber. The rubber is tough and rather soft, contains no harmful impurities. The dog rubber ball is equipped with a firm nylon string. 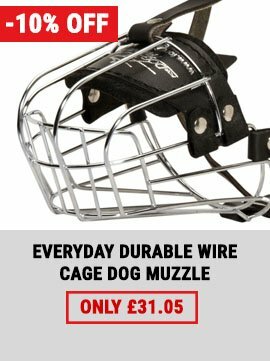 So you can use the dog ball for Staffy bite training and teaching diffefent dog commands. 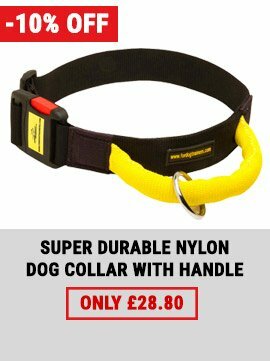 Your dog will like this interactive dog toy! Draw your attention, this dog water ball is not a chew toy, thus don't leave your dog alone with the ball. 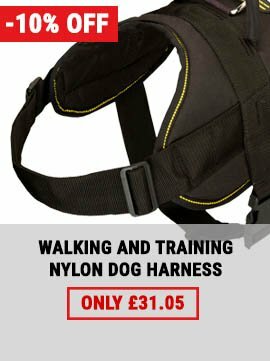 See the whole supply of dog toys for fun games and training your dog.